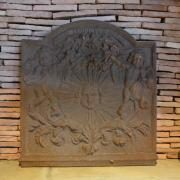 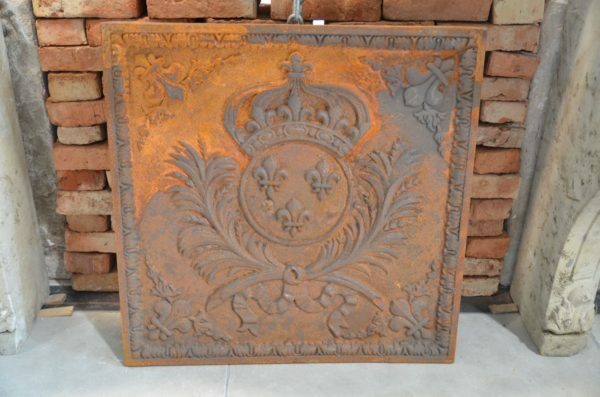 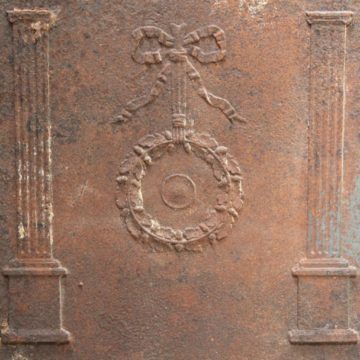 Cast-iron square fireback – reproduction. 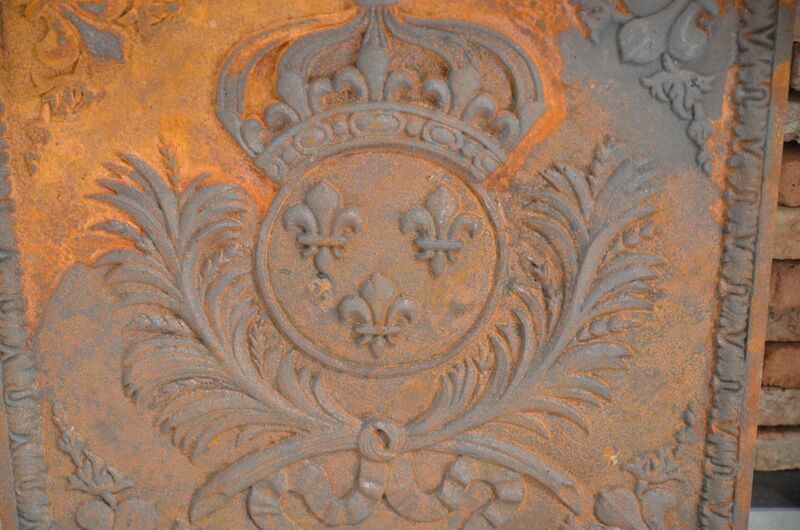 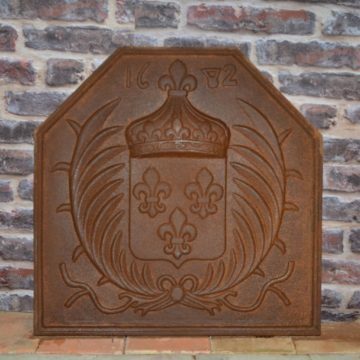 This new fireback features the royal crown, Fleur de Lys et leaves emblem. – 64cm x 64cm (25 x 25 inches). 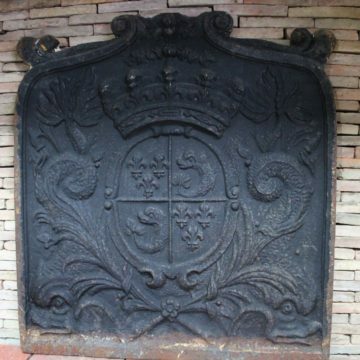 Weight 39kg (86 US lbs).